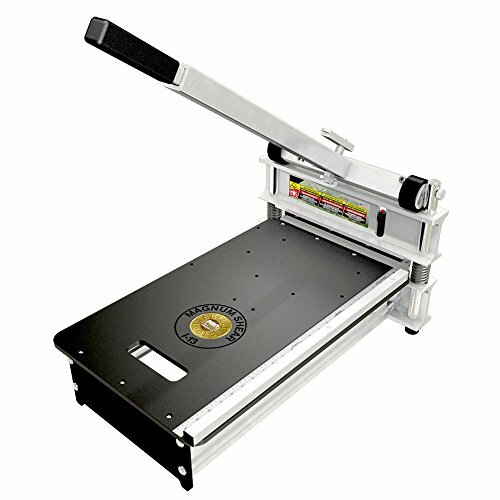 The MAGNUM Flooring Shear is a versatile, heavy-duty cutter for products up to 13 in. wide and 1 in. thick. The functional design prevents airborne dust in your work space and frees you from the hassle of electrical cords. This product is designed to cut laminate flooring, engineered wood, luxury vinyl tile/plank and other products. We're proud to make our MAGNUM shears right here in the USA, and offer a five year warranty. If you have any questions about this product by Bullet Tools, contact us by completing and submitting the form below. If you are looking for a specif part number, please include it with your message.